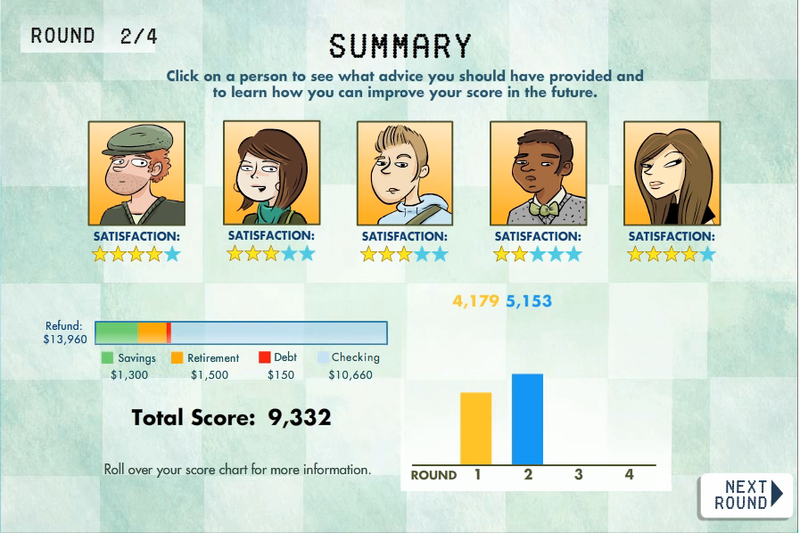 Commonwealth, a nonprofit organization that provides innovative financial education to low-income families, enlisted FableVision to create three casual games that help build basic financial literacy skills. The audience for the games is low-income young adults, with a special focus on women and minorities. 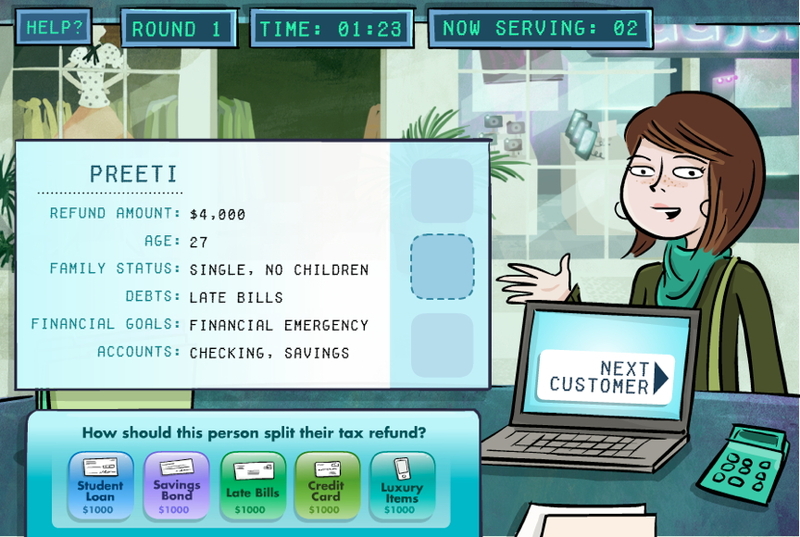 In Refund Rush, players take on the role of a financial planner, giving customers advice on how to best spend their tax refund check based on their financial profile. 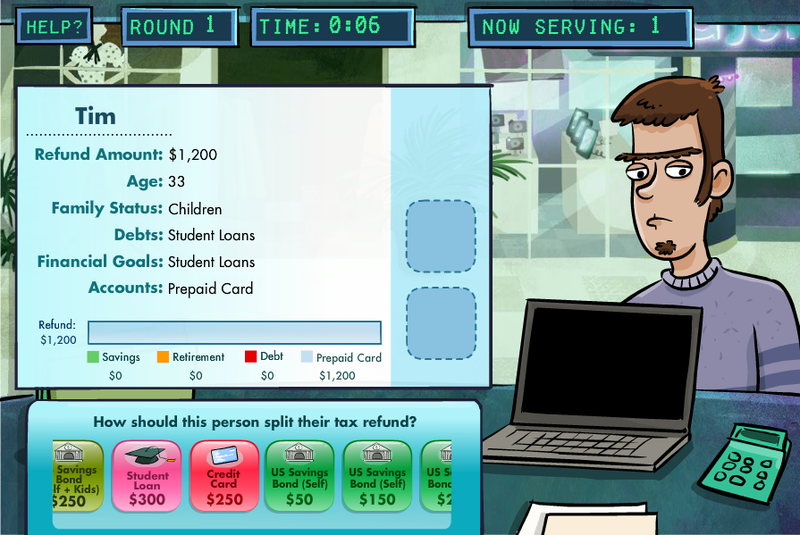 The goal is to encourage players to use the refund to invest in bonds and pay off debt rather than spend on luxury items.